Oliver Twist was Dickens's second novel and one of his darkest, dealing with burglary, kidnapping, child abuse, prostitution, and murder. Alongside this gallery of horrors are the corrupt and incompetent institutions of 19th-century England set up to address social problems and instead making them worse. The author's moral indignation drives the creation of some of his most memorably grotesque characters: squirming, vile Fagin; brutal Bill Sykes; the brooding, sickly Monks; and Bumble, the pompous and incorrigibly dense beadle. 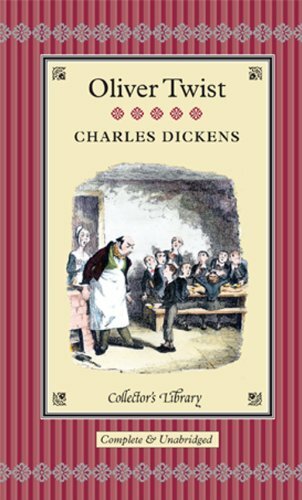 The work is a collection of literary sketches and reminiscences written by Charles Dickens. They display his wit, humour and occasionally his righteous indignation towards the things that he saw and the hidden aspects of Victorian London.